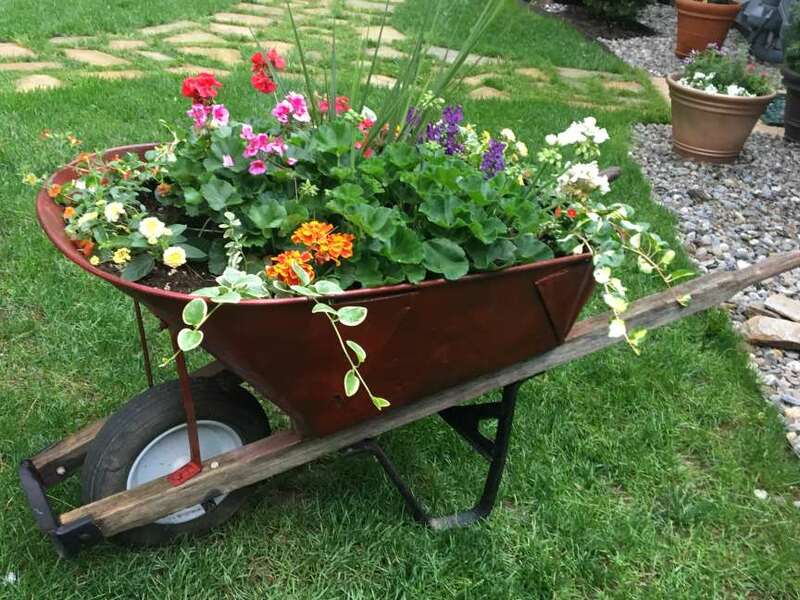 Wilmington Garden Day, a springtime tradition in the Brandywine Valley, will host its 72nd annual tour on Saturday, May 4, 2019 from 10 a.m. to 4 p.m. Featuring both houses and gardens, this is a rain-or-shine event. Garden Day Tour Tickets available here. To sign up as a tour volunteer, click here. Garden Day's Preview Party, An Evening in the Garden, is in its 11th year - and more grand than ever! We hope you will join us to celebrate a treasured tradition in one of Wilmington's most unique and historic homesteads. COME AND SEE OUR SPECTACULAR HOMES AND SPRING BLOOMS! As I walk around my neighborhood in Wilmington, I am struck by how lovely the lawns look all year - different colors for different seasons. 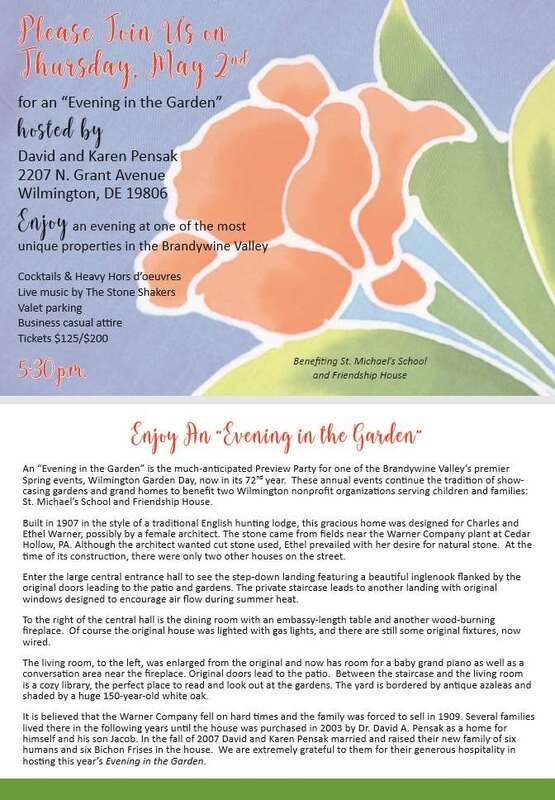 But there is something special about spring and Wilmington Garden Day. It's about hope and what your garden can be with a little time, effort and ideas as the world is beginning to warm up from the winter. It's further amplified by with friends and sharing ideas while enjoying spectacular homes and gardens. As you work in your gardens and walk around your neighborhood, we invite you to volunteer and get involved in the planning on Wilmington Garden Day 2019. Bring your ideas and help us make this year a success.